Solar Sister works to both empower women and bring solar energy to remote parts of Africa by recruiting, training, and supporting women in establishing their own clean energy businesses. The Solar Sister entrepreneurs sell and deliver solar lighting and clean cookstoves to their communities, which increases their income and business skills and gives them greater status at home and in their communities. The communities in turn benefit from the improved health, safety, and economic prospects brought by the expansion of solar power. 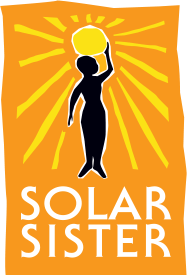 Solar Sister currently operates in Nigeria, Uganda, and Tanzania with over 2,000 entrepreneurs and 300,000 people benefiting from their system.